Step 1 – Navigate to Pages then edit a page. 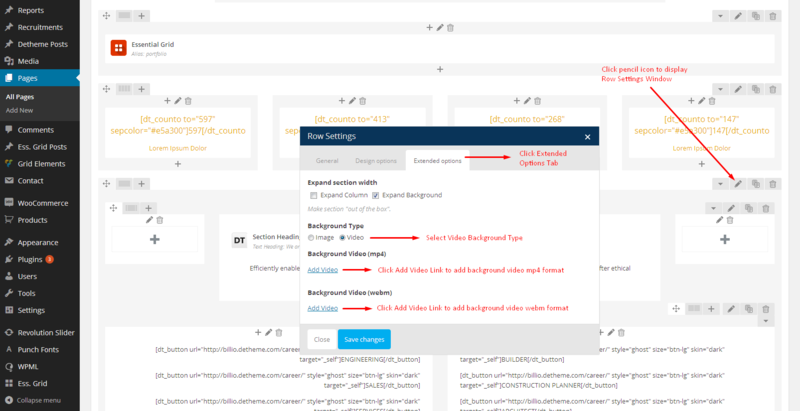 Step 2 – Add Visual Composer Row Element to the page. Step 3 – Edit Row Settings by clicking pencil icon. Step 4 – Click Extended Options Tab. Step 5 – Select Video Background Type. Step 6 – Add/Upload Video file in mp4 or webm format.